Stored inventory does no good when it sits in a warehouse for months on end. Reducing this inventory and creating a better inventory management system can help boost your profits, and keep your business from overspending on production supplies and processes. Here’s how you can maximize your profits by reducing company inventory. “Made to order” is the name of the game. If you’re maintaining a large volume of product in anticipation of a spike in orders, there’s no guarantee that’s going to happen, even if you’ve seen similar patterns in previous years around that time. Business can be fickle, and the trends don’t always last. If you’re producing food products, you have the added factor of that food expiring. Your ingredients also will have a shelf life, even in the freezer. Expired food means you lose money. Do this often enough, and you’ll find your business has a serious problem. By keeping enough just enough inventory on hand to meet customer demand, you’re recovering production costs and earning profits at the same time. With excess inventory, your profit margin essentially gets shipped to your warehouse or storage space to gather dust. Have your customers figure out exact figures when ordering a product, so you only produce what is needed to meet that demand. This will prevent lost revenue in the form of waste product. Tracking your inventory lets you take control of the product or supplies available to you. It also helps identify errors and get the numbers right when you calculate your expenses. Inventory management is the responsibility of everyone who handles supplies or finished product. That means your material handlers, laborers, and shipping staff should be in constant communication about availability and what’s been used. Inventory management software makes this simple by allowing the users to input data directly, in real time, so the updates are instantaneous and everyone is on the same page. If returned products are not defective or damaged, you’ll want to resell them as soon as possible to recover the loss from it being returned. A returned item means you have to pay the customer back, essentially making the production and distribution of the product a total loss. Resell these items at regular price before you produce more of the same. 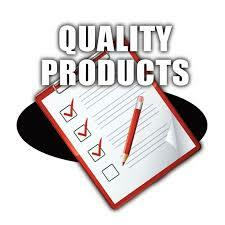 Producing high quality and reliable product ensures that your returns will be low and your profits remain stable. Customers want quality products that serve a function, and if you’re cutting quality when trying to reduce production costs, you may want to try a different approach. Balancing production with quality is difficult, but not impossible. Take a look at your production process. Trim any unnecessary employees or supplies, and continually research new ways to optimize production. Extra money for research and development can be found by learning how to calculate retained earnings. Retained earnings are profits that remain within the company for new supplies and research and development. The higher your profits, the higher your retained earnings, and the more you can reinvest into the business. An inventory audit can ensure your inventory management system (and your employees) are functioning properly. Even with a great inventory system, human error is still part of the equation, and therefore a double check is required every few months. You can cycle check, or only check certain products and supplies one at a time, or you can do a full inventory audit once or twice a year. This depends on time constraints and other factors, but the importance cannot be understated. A physical inventory check compared against the system is the best way to spot errors and make adjustments. It’s better to spot a small error early before it becomes a larger issue. Selling old inventory at a price reduction serves a twofold purpose; it clears away “dead” product that’s sitting on the shelf and helps you recover at least a portion of the production cost. You can set up alerts in your inventory management system to remind you when it’s almost time to reorder a specific supply. Set a par level for inventory of that product or supply, so your system knows when you need to order more. This will save the hassle of counting every time you need to order supplies and also help you resupply before you’ve run out entirely. Storage space can add up quickly in costs, driving your profit margin down. If you’re producing too much product, you’ll need somewhere to put it all. Reduce your old inventory and produce only what you need, that way you’ll need almost no storage space because orders have been fulfilled with no leftovers or overstock. If your business picks up in the summertime, you’re going to need more inventory. 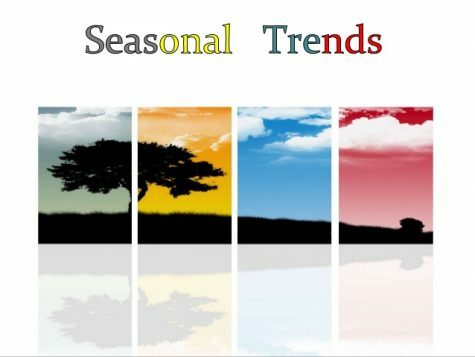 Tracking and analyzing these trends can help you plan ahead, but always remember that trends are not a guarantee of returning business, but rather an estimate. Keep track of how many orders you received the previous season, and notify your suppliers that you’re expecting higher demand so they can also be ready. The last thing you want is a back-order of your supplies at the height of your busy season. 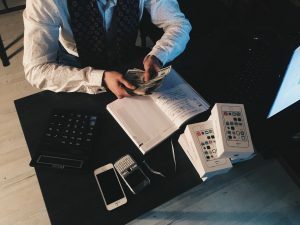 If you find that you’ve accumulated overstock after your busy season, you can either sell it at a discounted rate or retain it for next year. Good planning will help you avoid overstock, however, and keep those profits high.